You know you're obsessed with Jim Carrey when you have 50 pictures of him hanging up in your bedroom! You know you are obsessed with Jim when you start quoting him on a regular basis, have almost all of the movies, and have a complete file full of pictures of him. Are you trying to deny it, Fluffy? hey i bottle fed a teeny baby lamb yesterday......now THAT made my heart go #BOING! 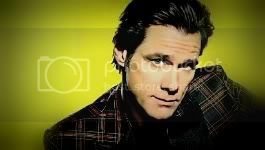 You know you are obsessed with Jim Carrey when you see him in your dreams! You know you are obsessed when you MUST #BOING! back when he is #BOING! atcha! when i was maybe 13 or 14 and I saw The Mask for the first time. the funniest with it all. Ace Ventura was the first time i Saw him. I didn´t like him. i thought he was a idiot. but after I saw The Mask I discovered a god of comedy. And now I also love his serious stuff. You know you're obsessed with Jim Carrey when as soon as anyone mentions him you start to blush!